Sorry for our inactivity recently, we plan to post more projects within the coming months. Here is a little lobby we made for Olimpocraft. It is a diorama of the Imperial Reichstag preparing itself for a last stand against an imminent soviet attack. Outside the front of the reichstag features bunkers, trenches planes, tiger tanks, anti-aircraft and flak 88mm guns. 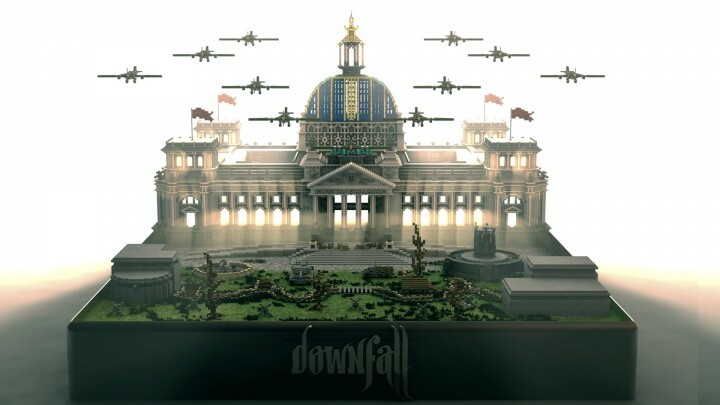 Many thanks to Splekh for the amazing renders! 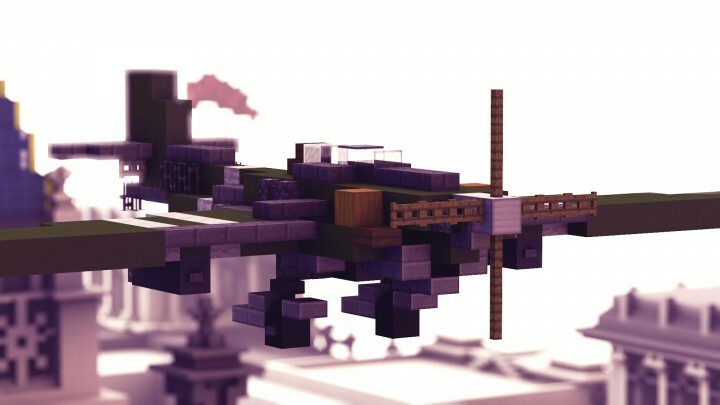 - Interested in joining our build team? - PM us via PMC. - Want to commission a build? - Add jack.g20 on Skype. Great build! I would like to see how you made the aircrafts. Very nice, Are the planes Ju-87 s ? Great, it looks like a movie set. How big is the building? I always wanted to make a building like this, but I can never get the sizes right. This is an amazing build! 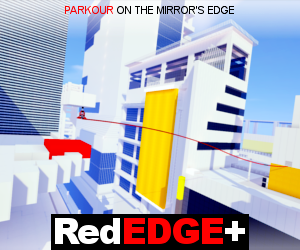 Mind if I do a video on it? 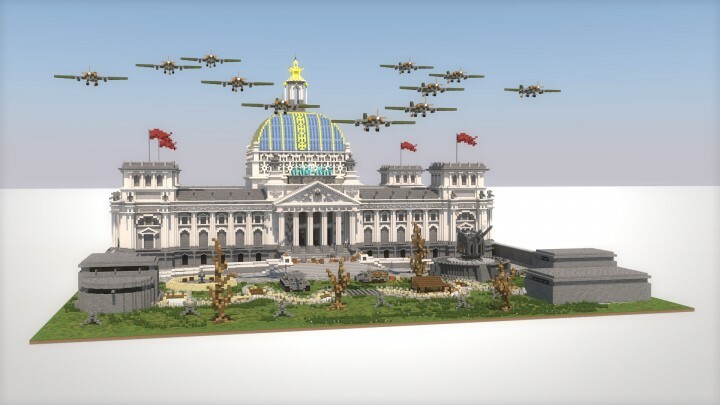 Nice renders Splekh, and nice project ofc. AMAZING. Is there a download? 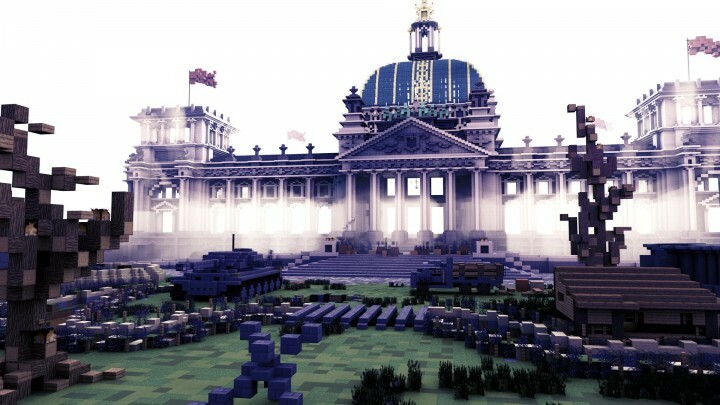 Thats an extremly great replica of the Reichstag! Nice work. Erm, what aircrafts are those? I thought they were Ju-87s since the gears are down, but the wings are straight, however it doesn't look like a Bf-109 either. Are they fictional aircrafts? Wow! That is some truly impressive work! I love it!